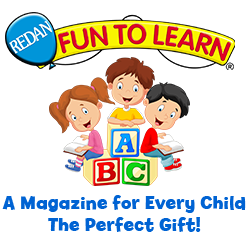 Home » Children's Books » Give the Gift of Reading with Redan Publishing Children’s Magazines!! 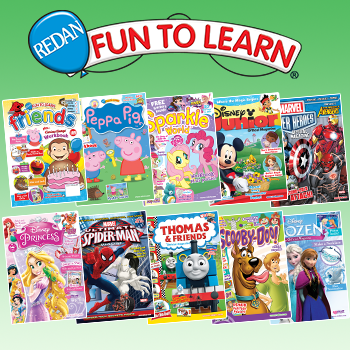 Give the Gift of Reading with Redan Publishing Children’s Magazines!! *This post is sponsored by Redan Publishing via USFG. Opinions my own. This holiday season, give the gift of reading with the help of Redan Publishing! Wouldn’t your child love to find a magazine JUST FOR THEM tucked inside their stocking?! With selections like Strawberry Shortcake, Thomas the Tank Engine, Spiderman, Mickey Mouse and MORE – there is definitely a magazine tailor made for YOUR child! Kids will LOVE these magazines, designed with young readers and learners in mind. These magazines are completely interactive. Each issue contains stories, a craft project, a collectible poster and a workbook full of fun educational activities that are designed to give your child a head start in developing their early learning skills with the help of their favorite characters. Your child will spend endless hours stimulating their imaginations and having fun not realizing they are learning! These interactive magazines make the perfect gift! Redan Publishing is offering my blog viewers a special discounted offer plus a FREE bonus issue for ordering. Go to go http://www.redan.com/USFamilyGuide.htm and click on the magazine cover with your child’s favorite character to order. Happy holidays and happy reading! !